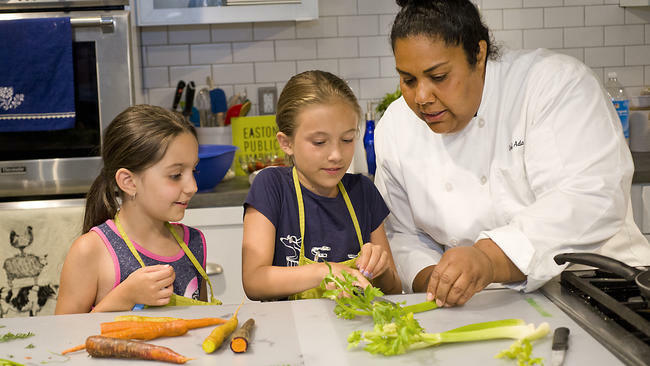 Kids in the Kitchen with Chef Ada - SOLD OUT!! Celebrate ‘Back to School’ with this week’s recipe: Confetti Cake Blondies! Kids will learn how to measure, mix, and bake a recipe from scratch! 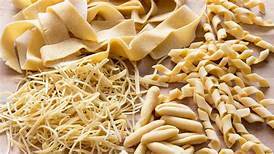 Home-made pasta is lighter, softer and cooks much more quickly than store-bought pasta and gluten-free pasta is no exception to this rule. In this class you’ll learn how easy it is to make your own pasta either with a pasta machine or without. Nutritionist Tammy Westney will demonstrate how to make spaetzel and a fresh pasta primavera, and the class will make their own dumplings. This week’s recipe is fun mixed with the flavor of the autumn season: Apple Doodles! In this class, students will be putting a spin on the traditional Snickerdoodle cookie by incorporating apples and topping the cookie off with a cinnamon icing! Now that tastes like the season!! 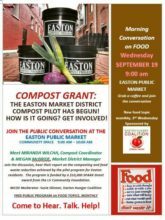 On September 19th join Megan McBride and Miranda Wilchak of the Easton Compost Program to learn about the progress of the program that was launched in July. Easton Hos pital presents Healthy Living Wednesdays in the EPM Kitchen! Join Nutritionists Alison Unger and Amy Romberger to learn about eating healthy throughout the year as they share tips and recipes on how to promote a healthy lifestyle. 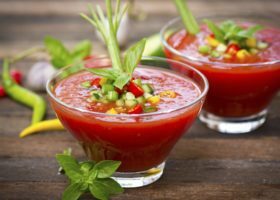 This week’s recipe is “End of Summer Gazpacho,” using produce sourced from the Highmark Farmstand at EPM. 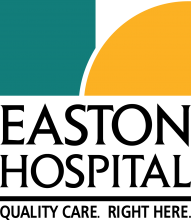 The Easton Hospital Nutrition Team will also talk about the nutritious benefits of all of the ingredients and discuss quick weeknight meal ideas for back to school.